Diablo III Season 4 is now live Europe! 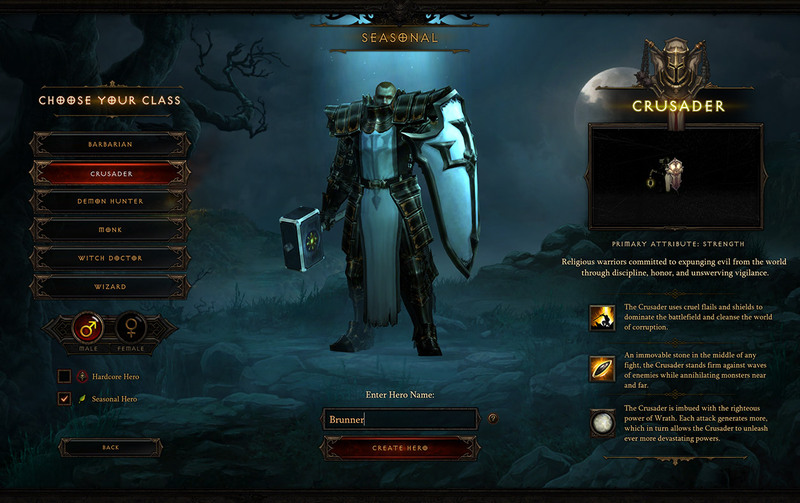 To create a Seasonal hero, select your class, gender, and name as usual, then select the "Seasonal Hero" checkbox on the lower left of the screen. 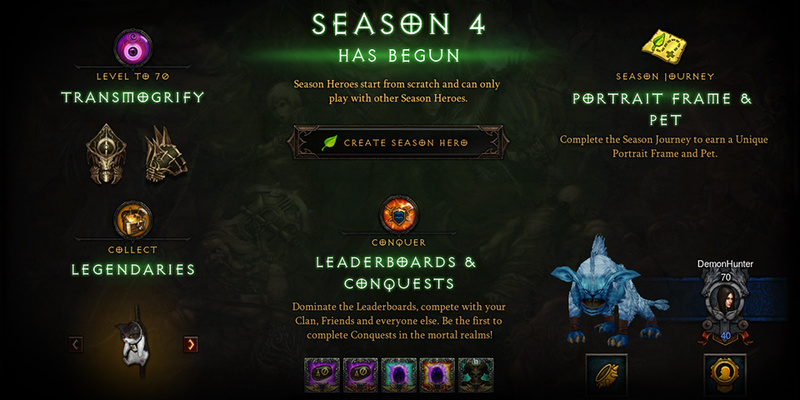 Season 4 will offer unique rewards and new challenges for players, including new Legendaries, an exclusive Transmogrification set only available to those who compete in each Season, and Season-only achievements called Conquests. Progress within a given Season will also be tracked on the Leaderboard system, and in the brand new Seasons Journey interface. To learn more about Season 4, click here.